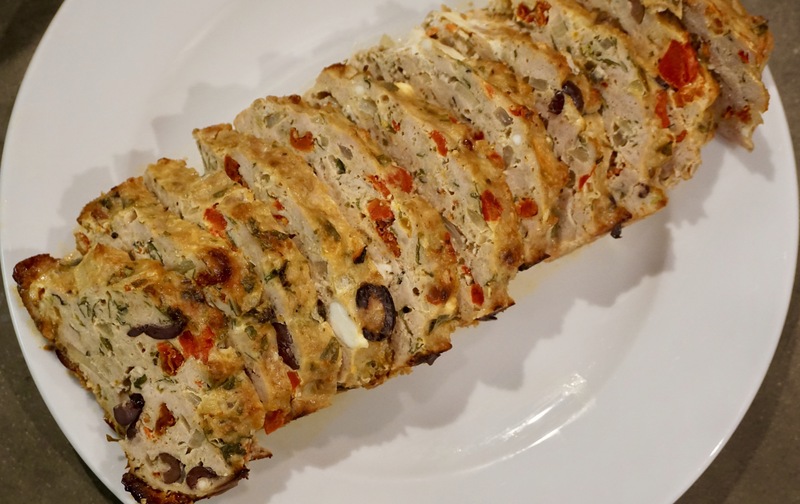 I have definitely made many turkey meatloaves over the years but I have finally settled on this recipe as my favorite. This is a super easy recipe… all you need is one bowl and your hands! Adding the extra oil to this meatloaf guarantees a really moist end result. The other great thing about this recipe is that you can just as easily form some burgers from the mixture and throw them on the grill. Just as delicious! The show stopper is the bacon. It allows the smoky flavor to penetrate the meatloaf and makes for a delicious crunch in each bite. 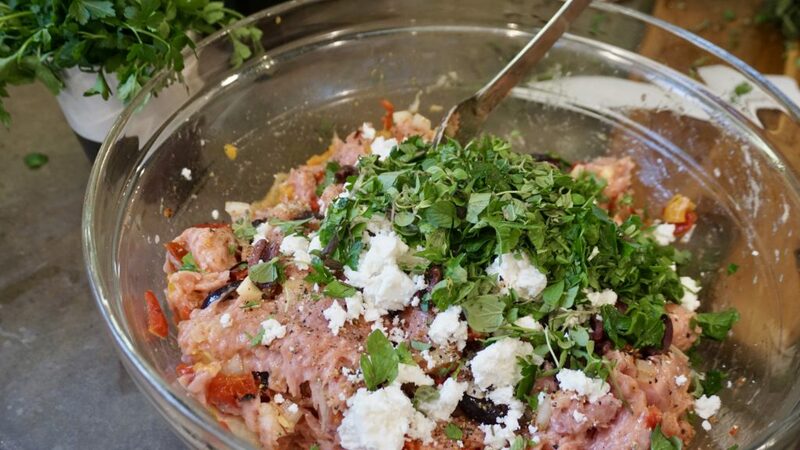 This recipe is designed to make two meatloaves so you can have leftovers or freeze half. 2. Spray 2 medium-sized loaf pans with olive oil spray. 3. In a large bowl, mix all the ingredients. (I use my hands for this so I get everything evenly blended together). 4. 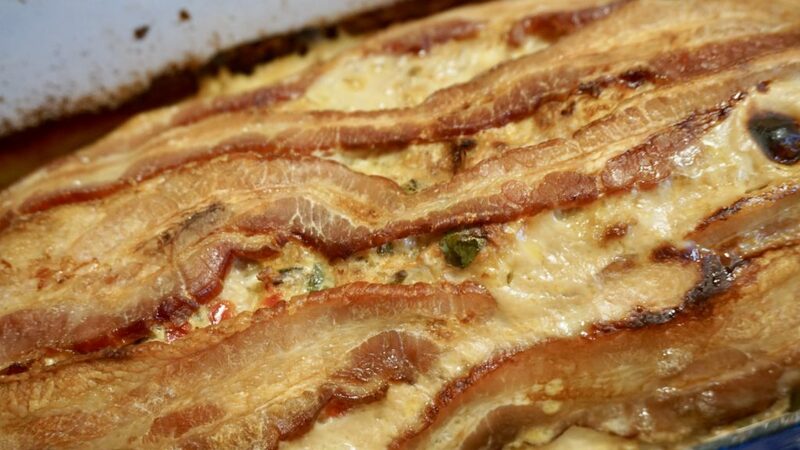 Put meat mixture in loaf pan and top with bacon (optional). 5. Bake in the oven for approx. 1 hour until it registers 165 internally with an instant-read thermometer. 6. Let sit on the counter for a few minutes to rest before slicing. Serve alongside a Cauliflower Mash for the perfect pairing!! Spray 2 medium sized loaf pans with olive oil spray. In a large bowl, mix all the ingredients. (I use my hands for this so I get everything evenly blended together). Put meat mixture in loaf pan and top with bacon (optional). Bake in oven for approx. 1 hour until it registers 165 internally with an instant read thermometer. Let sit on counter for a few minutes to rest before slicing. This recipe is designed to make 2 meatloafs so you can have leftovers or freeze half. Each meatloaf serves 6.